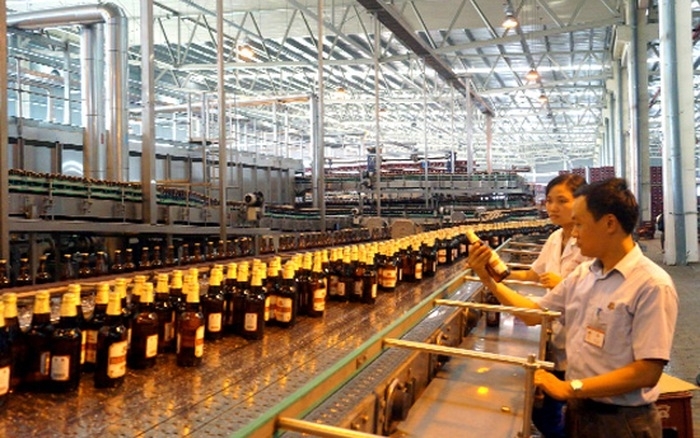 In the first half of 2017, in order to maintain and develop market share, Hanoi Beer Alcohol And Beverage Joint Stock Corporation (Habeco) has synchronously implemented many solutions to stabilize production and business activities, striving to fulfill this year’s plan in the best possible ways. According to Habeco, in 2017, the corporation sets its target to achieve: beer production of all kinds: 542 million liters; production of UniAqua bottled drinking water: 2 million liters; sales revenue of main products: VND8,866 trillion; pre-tax profit: VND 1,001.1 billion. To achieve this target, from the beginning of this year, leaders of the corporation together with its member units mapped out a series of key solutions. 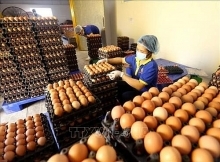 Accordingly, in the first five months, sales revenue of main products: VND2,026.8 trillion and beer production of all kinds: 167.288 million liters. 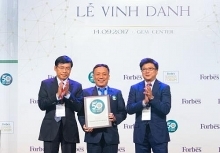 Leaders of Habeco said that on January 19, 2017, the corporation officially listed 231.8 million shares (under the code BHN) on the Ho Chi Minh Stock Exchange (HOSE). Before that, Habeco had two months trading shares on the UPCoM. At the opening ceremony to list its shares on the HOSE, Habeco Chairman Do Xuan Ha said: “The move to HOSE not only makes the stock market become more lively, but also facilitates investors to invest in Habeco's subsidiaries and affiliates”. Regarding production, the corporation has developed a suitable production plan that could satisfy sales requirements; inventories are always kept at a reasonable level to meet the market demand in each season, and also ensure the product quality. Costs management so far has been well implemented, the system of technical and economic norms are regularly reviewed and monitored. Materials are supplied on time; machinery and equipment are repaired and maintained periodically to well serve production activities. Productivity of production lines has almost been raised compared to the previous year. In 2016, the corporation contributed VND 5,770 trillion to the state budget, providing stable jobs and income for laborers. In sales of products, Habeco has re-planned its distribution system in order to improve the efficiency of goods distribution to customers and move fast to understand changes and demand of the market. In addition, the corporation regularly organized big events that attracted a large audience such as: Hanoi Beer Countdown 2017, the music night “Be a lover”, or the music show “Peace Song”. 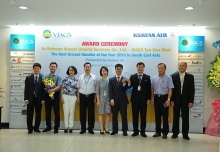 It also sponsored community activities such as: Earth Hour 2017, and Cua Lo River Festival...to promote its brand name and increase popularity of the products among consumers. The corporation is coodinating with consulting companies to position and refresh the brand name and Hanoi Beer products. Apart from communication activities, Habeco frequently launched promotion programs for its customers. With annual “Opening bottles - winning prizes” programs during Tets or in the summer, Habeco has given attractive and valuable presents to tens of thousands of customers. These programs is a chance for Habeco to show its gratefulness and thanks to customers who love and use Hanoi beer products. To achieve the goal of product diversification, the corporation also focused on developing new products and changing wrappings and labels to meet market demand in coming years. Along with developing business strategy, Habeco has also been implementing State capital withdrawal under the direction of the Ministry of Industry and Trade and the Government. 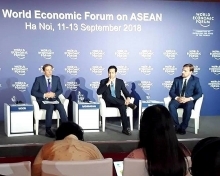 At present, Habeco has hired two consultants which are Bao Viet Securities Company (BVSC) and Vietnam Valuation and Finance Consultancy Company – (VVFC) to set up a plan for the capital withdrawal process, then submit it to the Ministry of Industry and Trade and report to the Government.